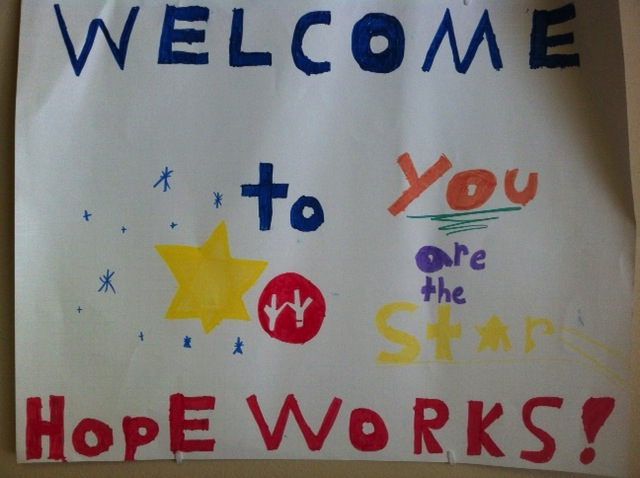 With the recent expansion of the HopeWorks GED program, I’ve been asked to also take on an expanded role within the HopeWorks organization. The largest portion of my job, at least in terms of hours, remains teaching GED classes. Because of the generosity of the Holmes Road Church of Christ in partnering with us, our new GED classrooms in Whitehaven are starting to be filled at all times of the day from Monday through Friday. I tend to boil down the HopeWorks ideal into two components. Primarily, HopeWorks wants to help people find, keep, or improve their employment situation. In order to reach this primary goal, HopeWorks also recognizes the need to serve individuals holistically. The GED or High School Equivalency Diploma is an important factor in employability, but it is not the only factor. This is where the other parts of my job with HopeWorks begin. Because the GED program is a natural fit with the primary goal of HopeWorks, we want to make sure that our students also have opportunities to grow and learn in other essential ways, too. Our GED instructors are a great group of caring, Christlike people. The time we spend with our students allows us to see how hard they work and to see their struggles beyond the classroom. Unfortunately, our teaching time is so tightly packed that we struggle to focus on more than academics. I have the job of filling in this gap. You can think of me as the GED “chaplain” for both students and staff. I’m here to support our teachers and our students through a variety of spiritual care and growth opportunities. I also coordinate the efforts made in partnership between HopeWorks and the Holmes Road congregation; I hope to involve other congregations in the near future. Finally, one other aspect of my job involves bridging the GED program and the PCD program. I help the communication process between these two sides of a great organization. I help make sure we all recognize we are part of a team operating under the same organizational vision. I help students make the transition between the two programs. The GED program can sometimes serve as a “feeder” for the PCD program, and the PCD program has students who need their High School Equivalency Diploma. We don’t want anyone slipping through the cracks!